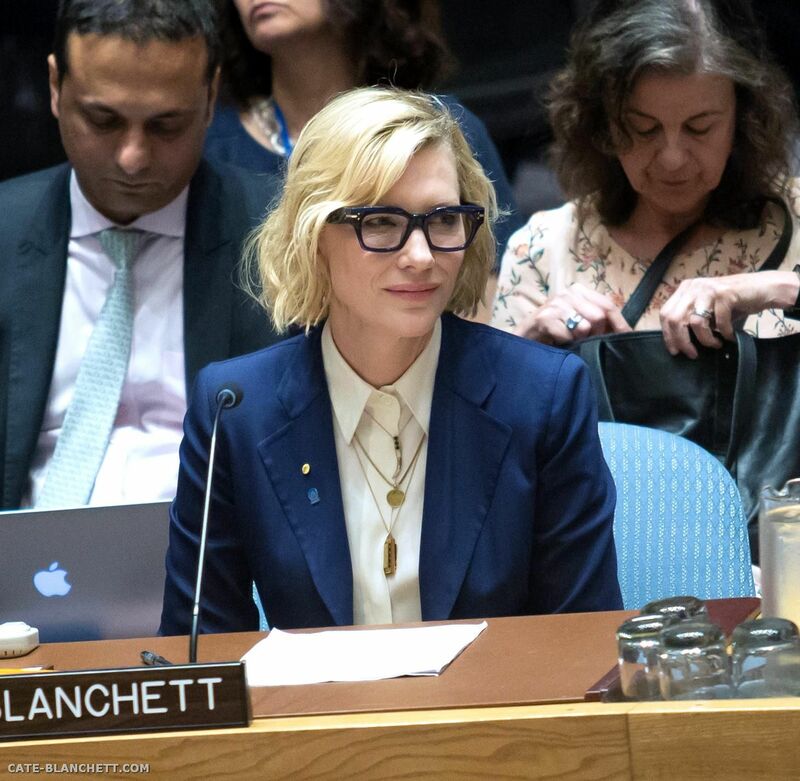 It has been announced that Cate Blanchett is set to lead a play reading in Middle Temple Hall for The Kalisher Trust’s annual fundraising. The play selected for this year event is ‘Land of the Free’ by award winning playwright Diane Samuels and will be performed at Middle Temple Hall on Sunday 24th March 2019. The play reading will run for a max of 90 minutes straight through and will be directed by Joe Harmston. Full casting is to be announced on The Kalister Trust website soon. Read more information below and if you have the chance to go, don’t miss it! The Kalisher Trust is a legal charity which helps young people from diverse backgrounds to develop the power of advocacy and supports those who aspire to become criminal barristers. Land of the Free interrogates the conflict between personal and political love as seen in the context of political discourse in the United States from the hysteria of the McCarthy era to the year of the Twin Towers attack. Inspired by real figures and their extraordinary experiences at the hands of the FBI as machine of the American state, her play explores the true price of freedom and the cost of devoting one’s life to fighting for a more just world. 1969, the shores of Lake Champlain, upstate New York. Rosa Gold, wife of radical lawyer Joe Gold, and mother of five, sees a naked woman emerge from the water in the moonlight. Uncompromising and determined, Heidi lives the life Rosa, herself a communist, failed to sustain. Rosa had been arrested for spying for the Soviets in 1949. Joe had been her defence lawyer – he rescued her from the death penalty, then she married him. Still haunting her is the mysterious figure of Bud, FBI agent, defender of the Land of the Brave and the Free. Special thanks to Catepedia from CBF Chat for sharing this news! 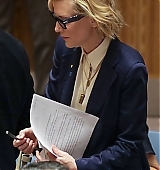 UNHCR Goodwill Ambassador Cate Blanchett at a Capernaum screening in London. 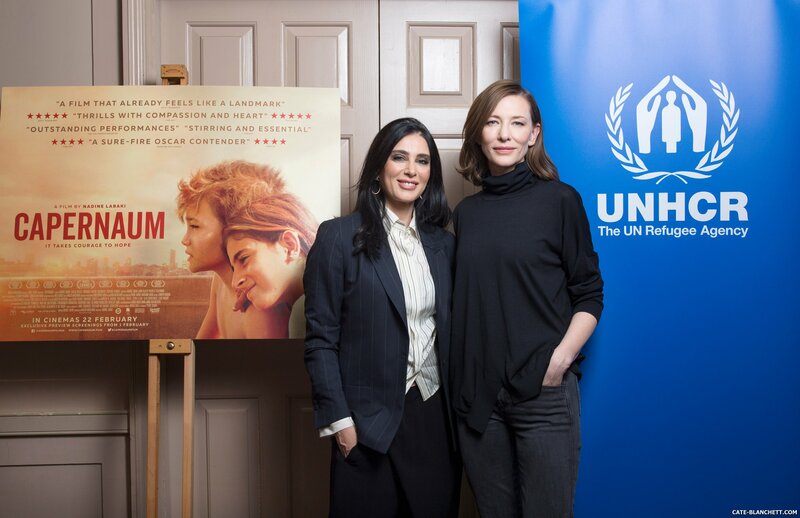 Earlier this week, UNHCR Goodwill Ambassador Cate Blanchett attended a special UNHCR/Picturehouse screening of Capernaum, film starring Zain Al-Rafeea, a Syrian refugee and directed by Nadine Labaki. The movie which opens in the UK on February 22 has got an Oscar nomination as Best Foreign Language Film and the Jury Prize at last year’s Cannes Film Festival. Here’s a photo of Cate and Nadine during the event. Enjoy! 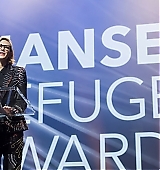 On Monday, UNHCR Goodwill Ambassador Cate Blanchett has joined some fellow artists in the 2018 UNHCR Nansen Refugee Award ceremony held in Geneva. 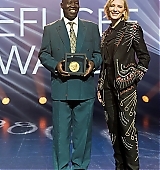 The award was delivered to Dr. Evan Atar Adaha, a surgeon who runs a remote hospital in South Sudan where he treats people forced to flee conflict and persecution. 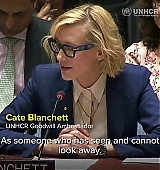 Cate was also interviewed by British TV presenter Anita Rani. See photos and watch the videos below. 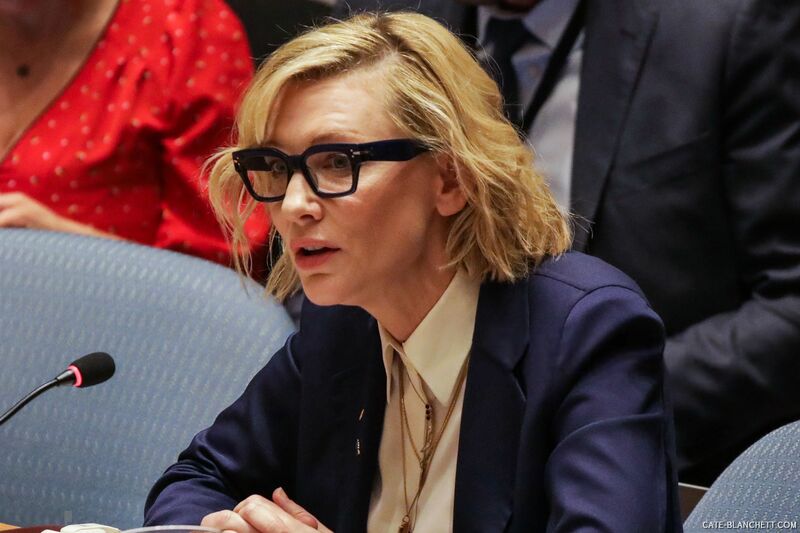 The keynote speaker at the event, actor Cate Blanchett, who is a UNHCR Goodwill Ambassador, earlier told the audience: “The award tonight marks a great humanitarian achievement. 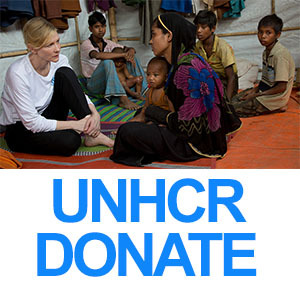 Two amazing people making a difference for refugees ? 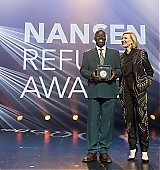 UNHCR Goodwill Ambassador Cate Blanchett and Dr. Atar the 2018 #NansenAward winner. Can you imagine 1 surgeon for the entire country of Ireland? ?? That's the size of Dr. Atar's coverage area in South Sudan. ?? 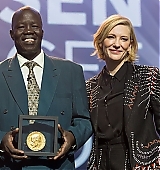 We're honouring Dr. Atar of #SouthSudan, the 2018 #NansenAward winner. 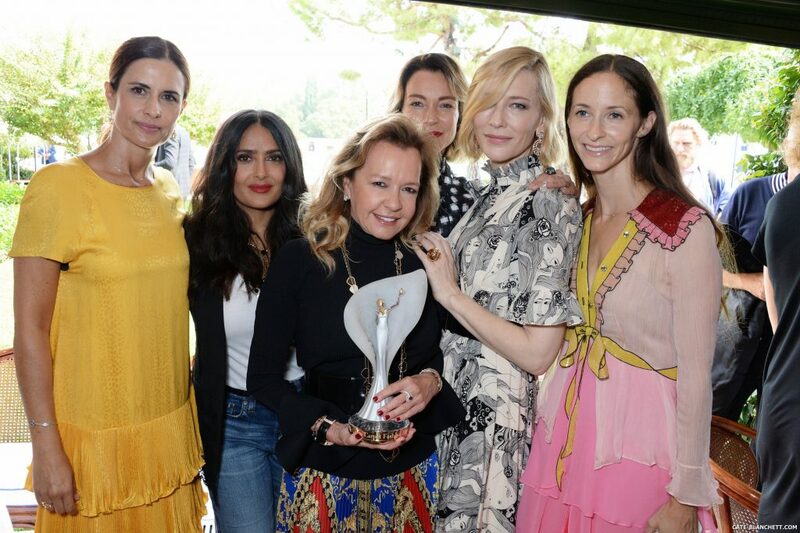 During the 75th edition of the Venice International Film Festival, Cate Blanchett attended a luncheon with Chopard to launch the Green Carpet Fashion Awards 2018. Here are some photos and an small article. […] Sustainability was key the following day, as Livia Firth, founder of Eco-Age, together with Camera Nazionale della Moda’s president Carlo Capasa and Chopard’s artistic director and co-president Caroline Scheufele presented the second Green Carpet Awards, Italia prize, created by the jewelry house. 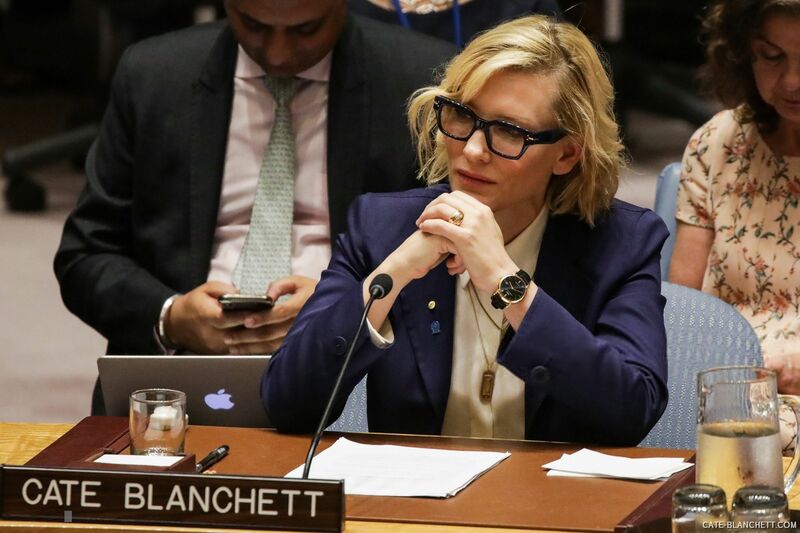 “The Oscars is always the same statuette, as is the Palme [d’Or] in Cannes, also by Chopard, and going forward this will be the award,” said Firth of the design, which is crafted from Fairmined-certified ethical gold. “And the fact that it is a woman is not a coincidence,” she added. It was a meeting of the movie and fashion industries as A-listers Cate Blanchett, Colin Firth, Christoph Waltz and Jeff Goldblum participated at the event at the Cipriani Hotel, which again drew the likes of Pinault, Bizzarri, Piccioli, Sassi and Incontri. What a day! Thank you to everyone for joining us today to celebrate the launch of the #GCFAItalia @cameramoda and the reveal of the @chopard statuette. The countdown to award night begins! #TheJourneyToSustainableLuxury #VeniceFilmFestival – @chopardbycaroline @carlocapasa @stefaniarock @salmahayek #CateBlanchett @jeffgoldblum #ChristophWaltz @brumarquezine @doina @lolaarrivabene @veraarrivabene @derekblasberg @nickbrown @pppiccioli Stefano Sassi, Marco Bizzarri, Francois-Henri Pinault, #ColinFirth and so many more ? 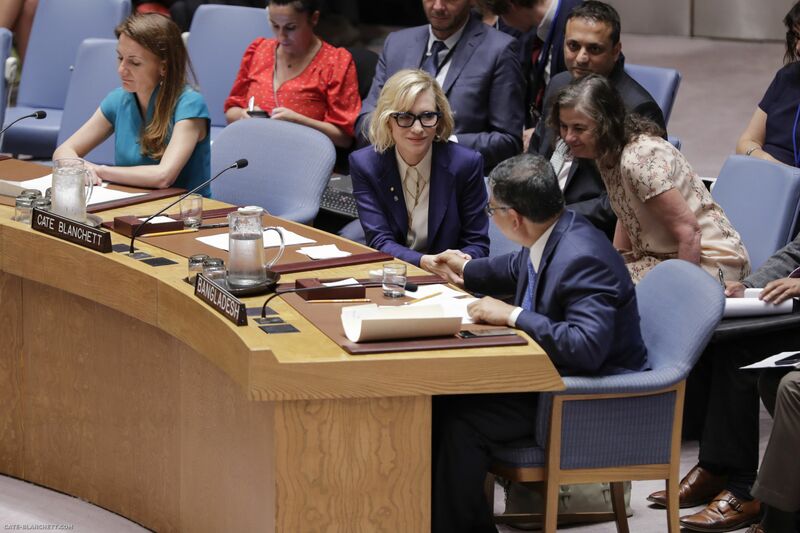 Last Monday Cate attended the UN Security Council meeting in New York and delivered a speech as Goodwill Ambassador for Refugees. 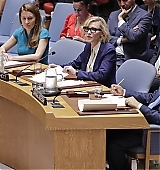 The United Nations Facebook page posted a video with a small fragment of her speech. Also, we have added more pictures from that day to our gallery. Enjoy! 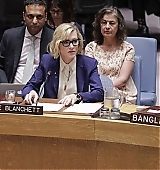 Today during the Security Council meeting at the UN headquarters in New York, Cate delivered a powerful speech about her experience during her last trip to Bangladesh visiting the Rohingya refugees as part of her work as UNHCR Goodwill Ambassador. You can watch the video here and we havealso added pictures to our gallery. Enjoy! 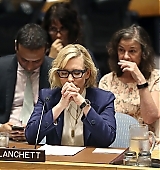 UNHCR Goodwill Ambassador Cate Blanchett will deliver a message to the @UN Security Council as they discuss the tragic situation facing the #Rohingya. 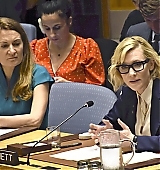 Cate also gave an exclusive interview to BBC where she described some of her encounters with refugees in the camps and mentioned the big problems refugees still have to face with the lack of basic rights.